Both Simon and myself received a phone call first thing in the morning telling us that our planned excursion – swimming with Stingrays – had been cancelled due to the bad weather. 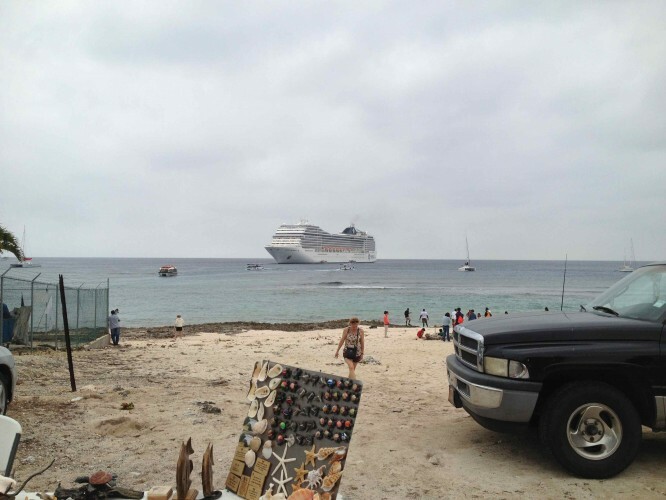 When we heard the news we decided to head ashore to check out Grand Cayman. 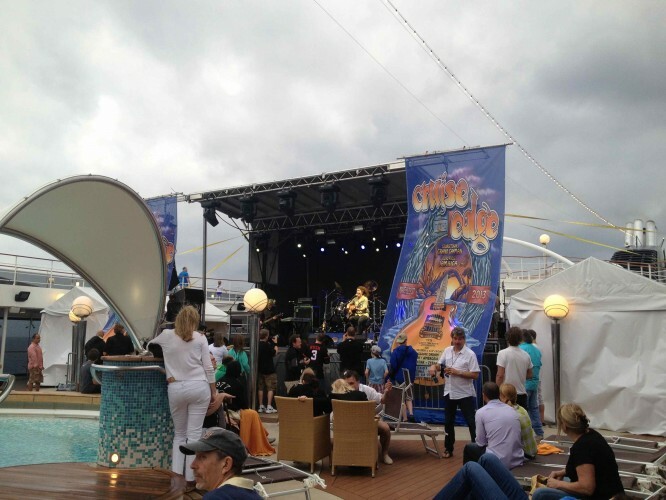 After our short trip ashore it was time for our second and last gig on the ship. 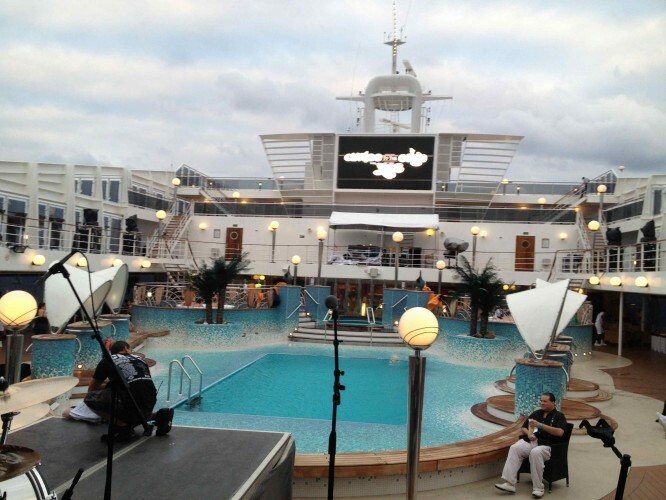 Tonight we were due to play on the Pool Stage – the top deck of the ship, in front of a swimming pool! 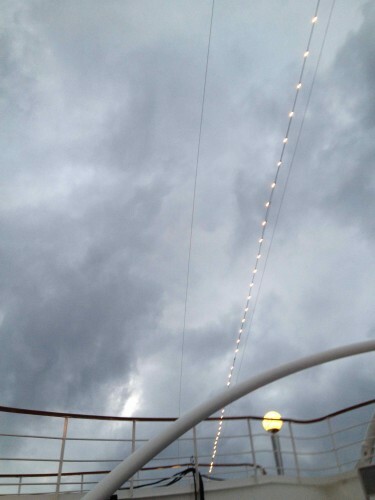 As we set up, it was clear that the same weather which had cancelled our excursions was also threatening the gig. The wind was picking up, blowing cymbals and gongs like they were sails. We set up, did a quick sound check, and retreated to the tent/dressing room at the side of the stage. There was some talk of cancelling the gig, but in the end we decided to at least start playing and see how it went. Thankfully the gods of prog were smiling down on us – almost as soon as we hit the stage the wind died down. We had a fun show, the atmosphere of the open stormy sky and the wind in our face made for an intensely charged performance – a gig to remember!